The Hinds Head in Bray, being a Michelin starred pub, has been on my radar for a while. We had the opportunity to visit just after Christmas, and I am very pleased we did! The service was excellent, as was the food – fois gras was delicious and beautifully presented, the roast beef was wonderful with excellent roast potatoes. We felt it was a venue to take older children to rather than a toddler – this was mostly down to having no background noise to cover up the usual sounds youngsters make. 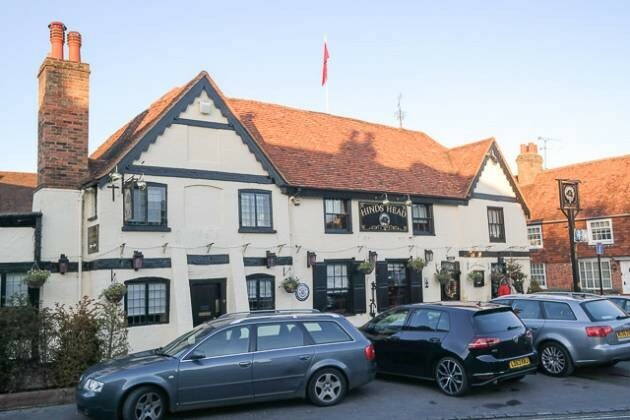 Overall though, a great place and The Hinds Head in Bray scores 4.5 out of 5!